Dr. Hurley Knott did his medical school at the University of Alabama and completed his internship at the University of Virginia. He further did his residency program at the University of Alabama Medical Center and his fellowship at the University of Iowa Hospitals and Clinics. 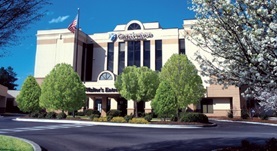 He is a board-certified thoracic and cardiac surgeon, currently practicing at the Crestwood Medical Center. Dr. Hurley is a member of the American College of Surgeons.